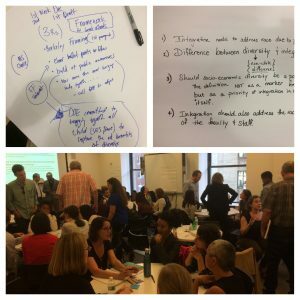 The NYC Integration Advocacy Coalition held it’s third meeting at NYU Metro Center. Advocates from across the city developed four working groups to focus on specific topics. Group 1 will develop language for a citywide policy statement; Group 2 will work on defining integration based on feedback from all stakeholders; Group 3 will develop ideas for public action; Group 4 will draft a response to the recent election.